If you see this acorn lying in the road then don’t assume there’s a hungry Squirrel nearby, because this nut’s actually an MP3 player. 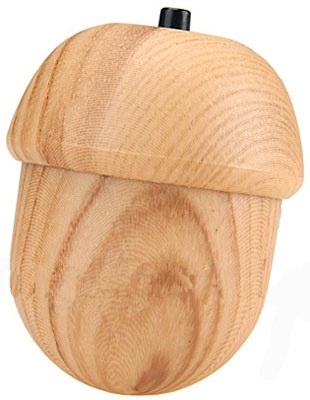 The Acorn MP3 Player is described as being “fashionable and cute”, with users able to control the volume and track order using a single button. It also switches on automatically when you plug in your headphones. It measures 40 x 38 x 38mm and has 1GB of storage. It takes around two hours to grow charge up the nutty device. But if you’re looking for something a little more feminine, then how about the Barbie MP3 player? The gadget’s been designed by Mattel to celebrate the plastic princess’ 50th birthday this year. 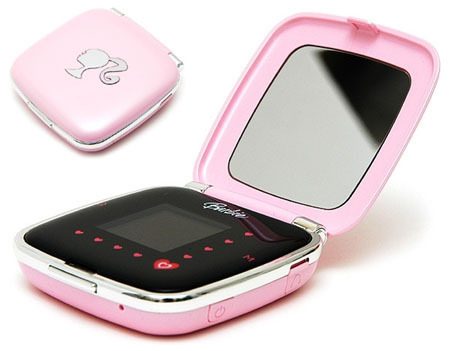 Although it looks like just a mirror compact case, the MP3 player has both a lid-mounted mirror and a separate LCD screen for displaying track titles and the artist’s name. May we suggest Barbie Girl by Aqua? It also has 2GB of on-board storage and an FM radio.